Four Frogs Creperie is more than just a French restaurant – we’re a real French creperie, with full table service, owned and operated by four French men (the “four frogs”). 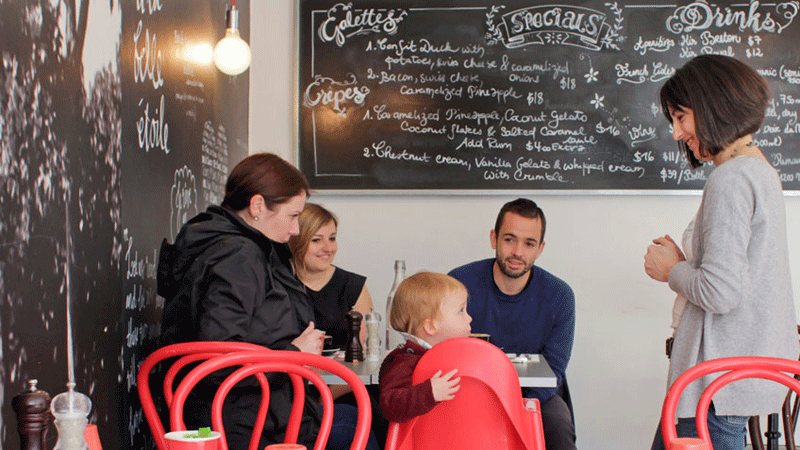 Four Frogs is what we like to call the home of authentic French crepes in Sydney. 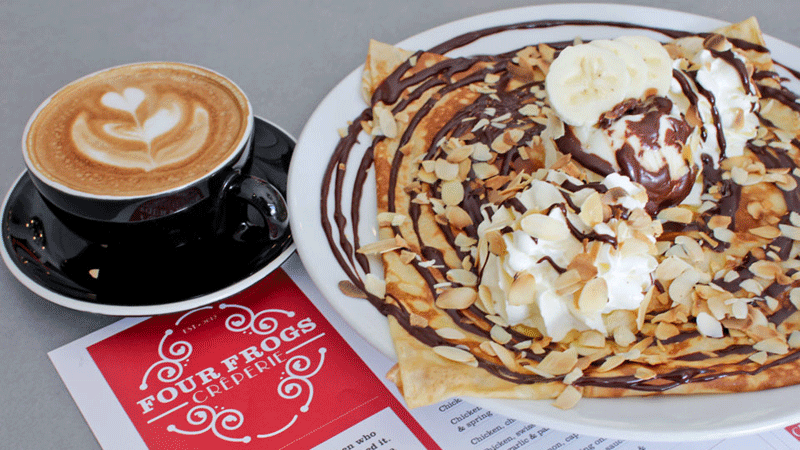 Specialising in sweet and savoury French crepes, Four Frogs Creperie has restaurants located in the Sydney suburbs of Mosman, Randwick and Circular Quay. We’re proud to offer you what we feel are Sydney’s finest, most authentic crepes and galettes – coupled with an excellent standard of table service. We believe the art of crepe-making requires specific skill and expertise, and that’s why we use the traditional recipes and techniques used by the skilled crepiers of Bretagne (the region in France where crepes come from). Everything we do has been carefully crafted for you to experience nothing less than the real tastes and flavours of France when you visit Four Frogs Creperie. We are four Frenchmen who came to Australia and loved it. We found beautiful beaches, a perfect climate and wonderful people. The one thing we couldn’t find? Excellent crepes. In France we love our crepes: sweet for dessert, and savoury (we call them galettes) for a delicious meal, with a glass of cider or wine and some good company. They’re always made to order and are natural, fresh and delicious. Australia, you give us so much, we give you our delicious crepes. Our founding chef and owner Florian Guillemard was born and raised in Bretagne, the region in France where the crepe originates. He’s passionate about replicating the traditional recipes and experiences offered by the authentic Bretagne creperies found in his home town – and many a small town in France. 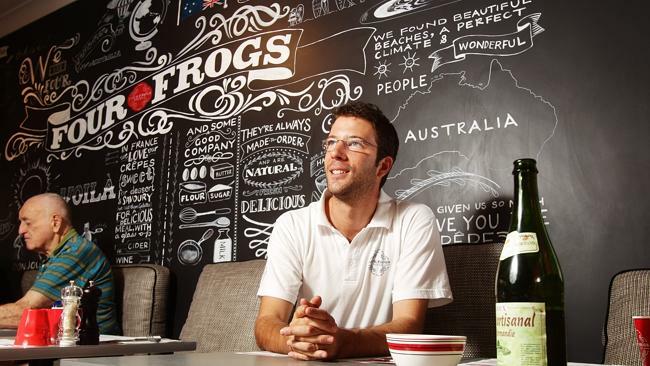 You’ll often see him around in our Randwick, Mosman and Circular Quay restaurants (don’t be afraid to say bonjour) – and you can also get in touch with Florian and the rest of the Four Frogs Creperie team here. 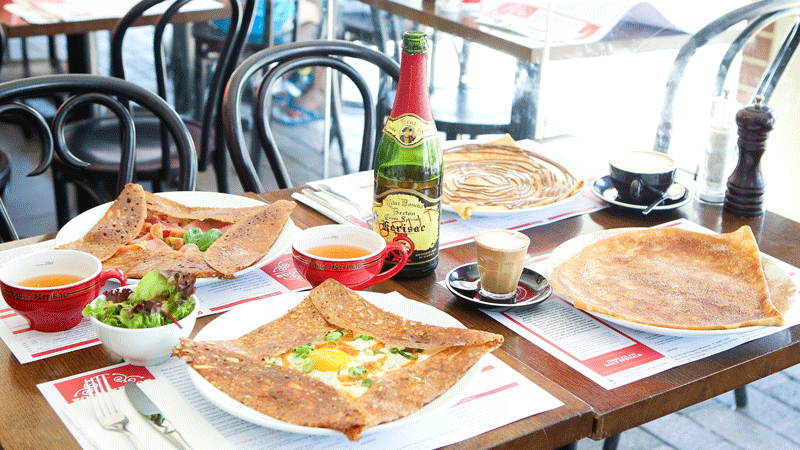 Our French crepes are traditional, but we’ve adapted them to suit your Aussie tastebuds. 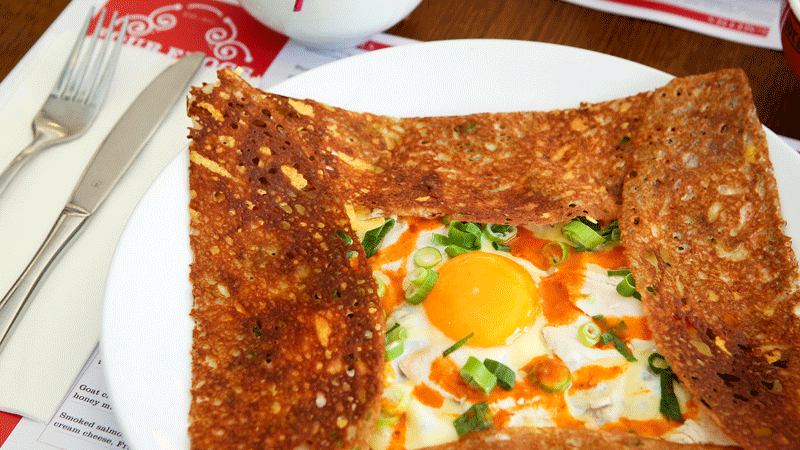 In France, it’s unlikely you’ll find crepes with bacon and egg or spinach and feta! Yet on the Four Frogs Creperie crepes menu you’ll find traditional French favourites, Australian-influenced dishes and the Frogs’ own special creations. 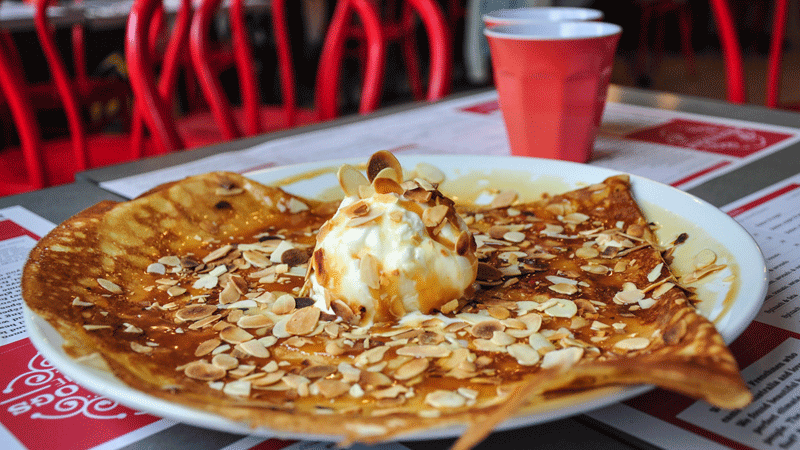 You may not know that crepes aren’t just a breakfast treat in France. We eat them throughout the day – especially for dinner. We love to take our families out for dinner and enjoy a delicious galette (or two) followed by a sweet crepe. 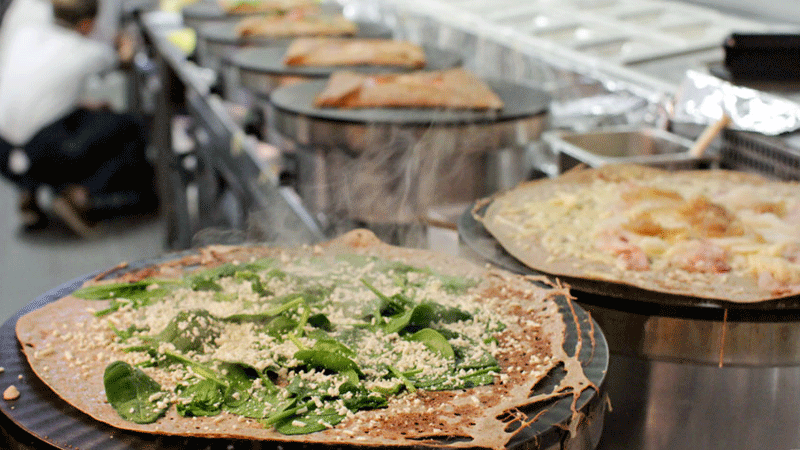 If you’ve never eaten a crepe for dinner, we’d love you to try it for the first time with us! Our creperies are open for dinner, and you can view our crepes menu to read more about our dinner options. We’re particularly proud of our galettes and have worked hard to bring their unique taste and quality to you here in Sydney. These savoury crepes are created using our own traditional recipe, but what makes them extra special is the highly nutritious buckwheat flour which is milled in the store. Milling the flour in the store maximises the taste, freshness and nutritional content of the buckwheat – which means you’re eating authentic galettes just like the ones our grandmothers of Bretagne used to cook. Our chefs also cook using free range eggs, “fleur de sel” (hand-harvested sea salt, also known as the “caviar” of sea salts), and a touch of something secret. Bonne appétit! Our sweet French crepe recipes are thin and crispy on the edges, and soft and light in the middle. Free range eggs, organic home-milled wheat flour, fleur de sel, raw sugar and quality farmer’s milk combined with rich homemade chocolate and salted caramel sauces, freshly whipped cream and ripe fruit bring a fusion of delectable flavours to choose from. We know you love coffee, and that’s why we created Four Frogs Coffee – a unique blend that reflects the Four Frogs values and taste. 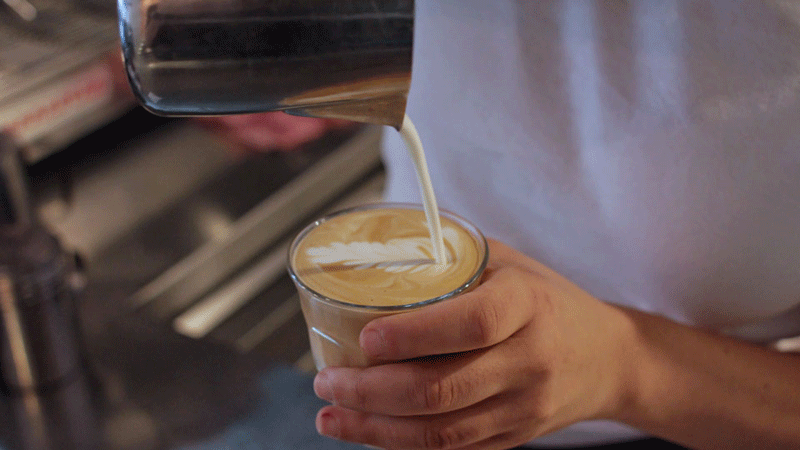 We work closely with a local micro-roaster to produce a full-bodied, rich coffee with a lasting chocolate aftertaste that goes perfectly with our French crepes.